Guess what’s opening next Wednesday? The truly fabulous, awesome, wonderful production of Young Frankenstein the Musical at San Jacinto College Central in Pasadena, TX! For this one, I am the music director, and I can personally guarantee that anyone who comes to this show will have a great deal of fun. The shows are Feb. 19,20,21,and 22 at 7:30 and Feb 23 at 2:30… granted, you’ll want to be there at least a half an hour early to get your tickets and get settled. The price is $15 for general admission, and I’ve been told the proceeds go to fund student scholarships. Cool, huh? A great show and for a good cause. Come on down and be prepared to laugh out loud and leave the theatre humming some truly ridiculous and awesome tunes. Woohoo! 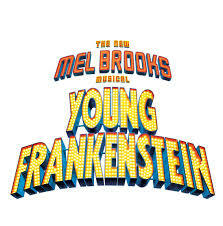 Mel Brooks + Musical = Greater Than the Sum of It’s Parts. Trust me on this. -E.G.D. ← DOWN THE RABBIT HOLE! Sounds wonderful! I wish I could be there!